You’ve heard the saying, “Behind every great man is a great woman.” To that I would add, “Behind every great man, there is a great storyteller or publicist.” So is the case of infamous historical figure Paul Revere. Nearly 250 years after his famous midnight ride on April 18, 1775, you can ask almost anyone walking down the street, “Who is Paul Revere?” and nearly everyone will tell you he was the colonialist who warned the Minutemen of a British invasion. But someone you may not know is Sybil Ludington, the 16-year-old unsung heroine of the American Revolutionary War. 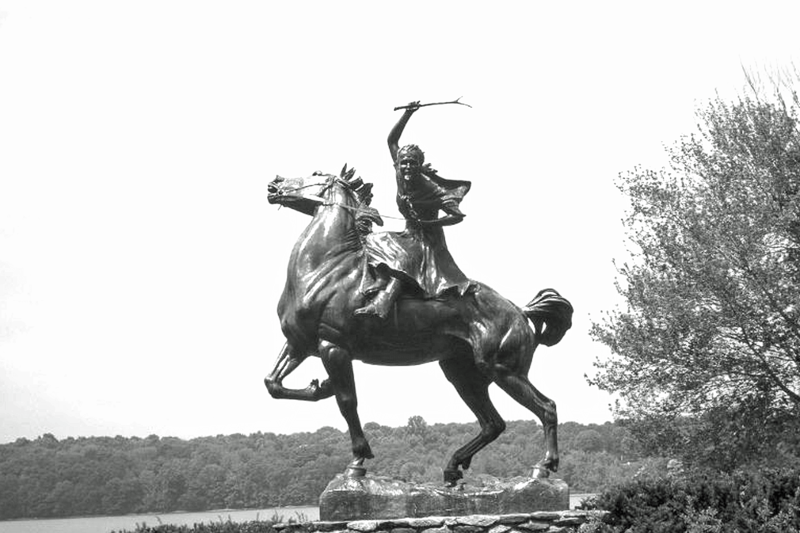 On April 26, 1777, Sybil Ludington rode her horse, Star, 40 miles through the night in Putnam County, New York to warn approximately 400 militiamen who were under the control of her father. Young Sybil used a stick to prod her horse and knock on doors. She then used the same stick to defend herself against a highwayman. By the time she returned home, soaked with rain and exhausted, most of the 400 soldiers were ready to march. Even though she was more than half Paul’s age and rode twice as far, her story has been mostly forgotten. 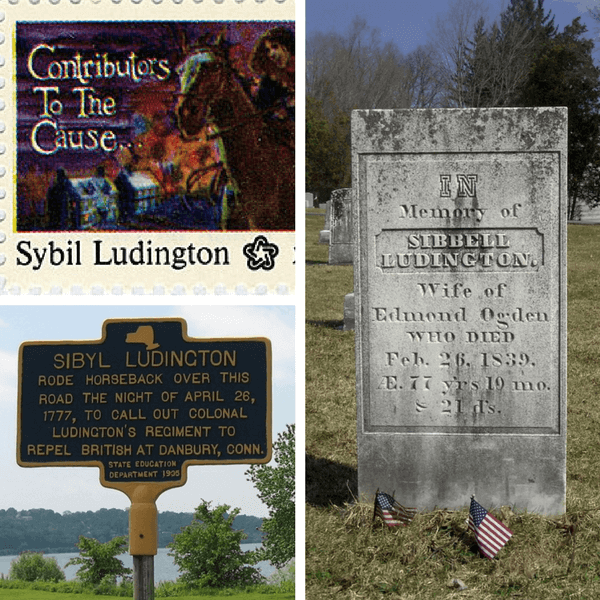 Even her name was misrecorded – on documents, she’s listed as “Sybil,” on a historical marker, she’s “Sibyl” but her gravestone lists her as “Sibbell” instead. I feel ya, Sybil. With a name like Sara, I run into the same thing. You see, Paul Revere did not gain name recognition for his April 1775 “Midnight Ride” until Henry Wadsworth Longfellow’s 1861 poem, which greatly embellished Revere’s role. Without Longfellow as Paul’s storyteller and publicist, Paul would have never become the legend we know today. How sad is it that Sybil’s story goes unnoticed? How many young girls would have been inspired into action by Sybill’s strength and story? As an internal communicator, you are always seeking stories to engage your audience. Telling employee stories, especially those associates that are not regularly celebrated, can help drive big engagement gains. These stories connect the head and the heart. People yearn to see themselves as the hero in these stories and they are more likely to identify with someone who looks like them, talks like them, or struggles to make the same wage as them. Take it from me, dig up the back story and tell it well. Shine light on the struggle. It’s the ditch diggers, not the ribbon cutters that will engage your employees and compel them to feel emotionally connected to your organization.